This entry was posted in China and tagged capitalism, economics, labor, Marxism, world trade. Excellent post. Thank you. Made me hungry for a bowl of rice. If that bowl of rice comes from a U.S. rice farmer, it will have come with a hefty subsidy. Stunning and most illuminating piece of research. Since moving to New Zealand, I have fully come to understand what it means to live in a US colony. Prior to the neoliberal “reforms” of the 1990s, NZ was in the top 10 of OECD nations. Since that time, they have privatised nearly all the state-owned industries and sold them off to private corporations. Once the process starts, more and more profits are drained off overseas and the country sinks deeper and deeper into poverty. The New Zealand public is trying to stop them from selling off the last 4 state owned utility companies with a Citizens Initiated Referendum. Voting starts today. Sold for well below market value, too, I would bet. That is the usual pattern. In Argentina, Carlos Menem sold off state enterprises at below-market prices in the early 1990s. The proceeds went to pay foreign debt mostly accumulated by the military dictatorship that was at the time only recently out. After completing these sales, Argentina’s foreign debt was larger than before. The newly privatized companies then imposed massive layoffs and raised consumer prices. The communiqué would put Obama’s State of the Nation speeches to shame! I know next to nothing about China or Maoism so I’ll not comment further. The ringing conclusion by Xing and Detert is misleading to the point of falsehood: “The Sino-US bilateral trade imbalance has been greatly inflated.” As shown by the fascinating teardown of an iPhone that they quote, China has a large import bill from Japan, Korea, etc. for chips that go into its high-tech exports. The exports from Japan, Korea, etc. are not from the U.S., and the U.S. trade deficit is not inflated. Xing and Detert also claim, “If all iPhones were assembled in the US, the US$1.9 billion trade deficit in iPhone trade with PRC would not exist.” Well, if the chips are imported from Japan, Korea (and perhaps their corporations’ fabs in places like Singapore), most of the U.S. trade deficit would still be there, just not with the PRC. Yes, for high-tech items, Chinese value added is a small part of the production cost. It is almost surely a big part of the value of low-tech exports, such as the vast array of “Made in China” items sold in WalMarts. The real issue for the U.S. is that the real earnings of U.S. workers peaked in 1973, two decades before the U.S. trade deficit with China took off. The larger point of the Xing/Detert paper is that U.S. trade deficits are caused by U.S. multi-national corporations, not China, which is merely the final assembly place being exploited for ultra-low wages — Apple, personal-computer makers, Wal-Mart and many others are responsible for the exporting of production. The ability of capital to move at will is key to understanding why, as you correctly say, the real earnings of U.S. workers peaked in the 1970s. The rest of the advanced capitalist world is following, with similar disastrous results. Globalized export of production to cheap labor countries took off around 1990 when the Soviet Union collapsed and China embarked on its post-Tienanmen path. Nearly twenty years earlier a turn occurred in U.S. capitalism, and U.S. workers were unable to win even the share of productiveness they had won previously. The roots of export to production to low-wage countries has its roots in the 1970s, when falling profits caused North American and Western European (especially U.S.) capitalists to cease tolerating rising wages and Keynesian economics. After World War II, with most of the world on its back or undeveloped (and fresh memories of labor militancy), U.S. capitalists could tolerate rising wages because their profits were rising faster. But once Europe and Japan were on their feet and serious competitors profit margins were squeezed. Lowering costs was the route to maintaining profit rates, so production began being exported. Certainly, the collapse of the Soviet bloc and Deng Xiaoping’s post-Tiananmen capitalist policies accelerated this process — the former because Central Europe would become Western Europe’s Latin America and the latter because vast new sources of exploitable labor was created. Additionally, because the loss of counter-examples to capitalism. But he process was nonetheless already well in motion; the neoliberal era was signaled with the ascension of Thatcher and Reagan. Vietnam and Bangladesh are emerging as low-cost alternatives to China, so the process continues and deepens. Until an international movement arises to counter it. Very high-level discussion, less often found nowadays. There is overall context of five-plus decades of development, since the historic and to some, shocking at the time, Nixon-to-China visit, The USA, which had long been the envy of the world for its productive might, has largely dismantled and destroyed most of its manufacturing power, while China, emerged from among the most incapacitated colonial-world nations, to take over much of that function. The Chinese economic development alone has shifted the economic center of gravity of the world and has altered the balance of power to a significant degree. The current Chinese state is a product of revolution by a worker-peasant alliance, politically led by the workers, under the leadership of the Communist Party, with a communist vision of future development, applying a scientific and materialistic view, distinguished from a utopia. The Communist Party leadership was not alone in recognizing that a socialist transition would center around developing the productive forces, and that achieving even low levels of socialism, as a mode of production, presupposed an industrial development greater than the most advanced under capitalism, and the starting point was quite primitive, and blocked by a more advanced world in competition and at war to arrest the development of the new and exemplary revolutionary vision. China’s workers and peasants sacrificed themselves, inspired by solidarity under the communist vision, in war against imperialism in Korea, and again to a lesser degree in terms of the casualties, in Indochina, against the French and the USA, both of which depleted economic resources further. Facing bloody hostility from the USA, its economic development proceeded with some help from the USSR, which mostly ended in 1962, and some degree of trade with European countries. Under conditions of belligerent isolation from the U.S.-led capitalist empire, it tried, also guided by a communist vision, to develop itself based on surplus value sweated out of its own population, where total per-capita production was between $100 to $300 per year. These strenuous efforts were launched as the “Great Leap Forward”. While it resulted in some economic development, that came at a great cost, and led to an exhaustion and arguably a famine. The Great Proletarian Cultural Revolution, in its economic aspect, was a product of the ensuing controversy about which way forward. With the U.S. weakened by its first-ever impending, humiliating defeat by liberation forces in tiny Vietnam, and by awakening competition from the rest of the world in recovery from WW2’s devastation, the U.S. was ready to deal. The Nixon regime took the U.S. dollar off the gold standard internationally, while consolidating an agreement with the Saudis and OPEC to accept only U.S. dollars for petroleum, central to the world’s energy. This created the conditions paving the way for the slow development of trade with and investment in, China (and now some coming back as investment from China.) In Marxist terms, China could now use the surplus accumulated by exploiting and super-exploiting workers domestically and internationally, as a material basis to industrialize China, which managed to take possession of much of the U.S. manufacturing power. But also in Marxist terms, many communists and revolutionaries are of a temperament to be too disgusted and angry to deal with the central war criminals and criminals against humanity, creating grounds for a great controversy. And the imperialists are not above cynically attacking formations like China seemingly from the “Left”, in order to destroy any revolutionary vision, or to demoralize any defense of any areas or formations that have undergone revolutionary transformations. Regardless of what percentage China realizes as profits now, calculated financially, it has the productive plants for a great deal of manufacturing on its soil. They may be owned by U.S., German, Japanese or Taiwanese companies, in terms of official titles now. But they are on Chinese soil, at risk for eventual expropriation when China becomes powerful enough to be able to ignore retaliatory consequences, and at any rate, can be operated within China according to Chinese directives and under Chinese control, even short of expropriation. 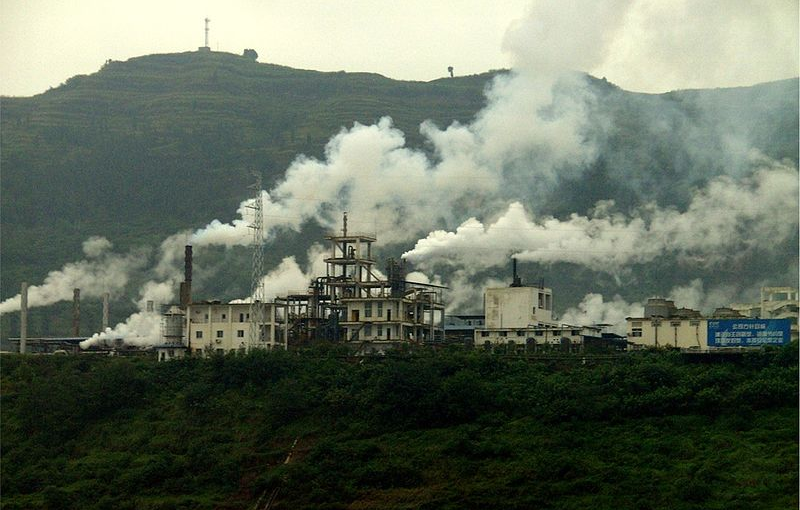 They can also be used for an increase in domestic Chinese consumption, with some retooling, rather than starting from the abject beginning., Because of the nature of the relationship of cl;asses within China, consumer items can be manufactured and supplied to the consuming public without private finance capitalists being able to object with the decisive consequences to the political structure comparable to say Goldman Sachs and the Federal Reserve Holding Company in the USA, who control the currency through their credit mechanisms which hold the government hostage. 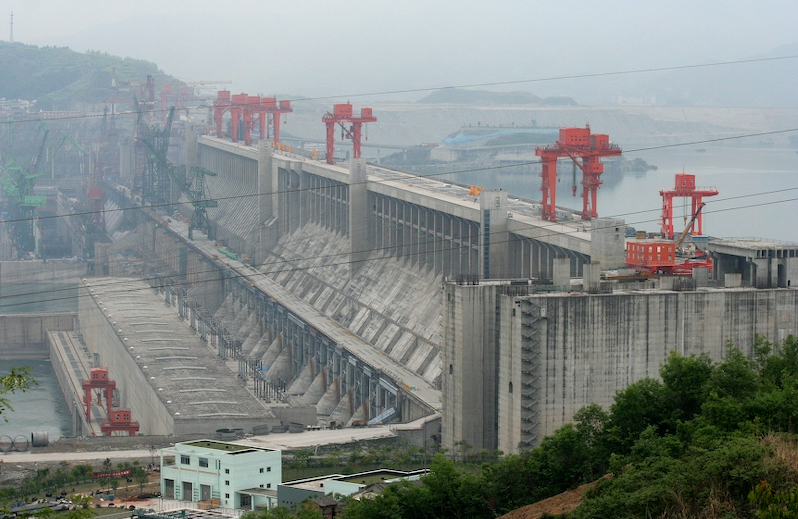 In addition to the factories that have been created, there is also the environment of new cities designed for production, new infrastructure like the Three River Dams (whatever one thinks about them politically or ecologically). China’s industries now are also capable of supporting and expanding impressive military forces. Most important, China now has trained and developed an experienced, skilled and disciplined industrial working class, at all levels, including scientists, engineers, technicians and assembly line workers (while in the USA, a new generation is growing up unaccustomed to, even resentful of, the very idea of factory work.). There is a risk that the Chinese privatized elite will be able to overpower any communist vision or intent, or even promulgate a total regimentation of bourgeois dictatorship, using collective rhetoric to create a dystopic monopoly of monopolies, in partnership with New World Order imperialists on Wall Street and in the City of London, etc. And perhaps, that is why the rhetoric about Mao Tse Tung and the socialist future, which from the outside it may be easy to dismiss as cynical, based upon our own zealous impatience with history. It may be necessary to keep on the back burner a decent vision, whose implementation hour will not arrive possibly for a number of generations. A high-level discussion on your part, too, Joel — there is much to think about in your comment. Assuming your analysis that China is (in Marxist terms) undergoing a “primitive accumulation of capital” for the purposes of building its productive forces so to effect a future switch to a socialist economy that would include expropriation of Western-owned facilities is correct, it would necessitate a drastic, and not easily executed, re-orientation of productive capacities and the entire direction of the Chinese economy. I have serious doubts that this hypothesis — a temporary return to full capitalist relations with a secret plan to move to socialism, this time with an appropriate productive capacity — but your concluding point that history takes a long time to unfold and we should be patient is well taken. The perhaps apocryphal story of Deng Xiaoping replying, “It’s too early to know,” when supposedly asked what he thought of the French Revolution is often cited because it does reflect the long arc of Chinese history and a tendency there toward long-term thinking. But I would also note that Mao Zedong did fear that, when he was gone, the “Capitalist roaders” behind Deng would move China toward capitalism, and the current party leadership (and more so their families) is heavily entangled in global capitalism and profiting nicely from it. China can’t move from an export-dependent economy to one based on internal consumer consumption without drastically retooling factories and without drastically raising Chinese wages. Nor can the world long survive the environmental damage from another billion people consuming at Western levels — or for North American and Europe to continue to consume at present levels. Much of China’s current economic expansion is based on over-investment by governments and real estate speculation; often these two are connected at the provincial and city levels. It is possible for China to break out of the world capitalist system and implement a socialist system democratically controlled by its people and run for human and social benefit instead of private profit, but that would require a revolutionary upsurge by Chinese workers, a development decidedly not wanted by the Chinese Communist Party. It is an “irony of history” — to use the Isaac Deutscher phrase — that the development achieved under Mao is the basis on which one of the two fastest industrializations in history (1930s Soviet Union the other) has been achieved. The basic fault with your analysis is the total disregard for the fact that classes and class struggle continues to exist under socialism. The Chinese are far more conversant than western Marxists in how socialism can and cannot be built under the conditions of pre-capitalist economic formations that prevailed in China prior to and after the establishment of the PRC. China made remarkable progress under Mao’s leadership in reconstruction, establishing a basic infra-structrure and basic social services, but necessarily at a very low level of development. The totalitarian system initiated by Mao was absolutely essential to mobilize the masses and revitalize China as a viable nation state. Under the condition of international isolation, imperialist aggression and ideological struggle China went it alone and established the basis for its future growth and development. But by the mid-1970s China was at an impasse. The war communism of the Mao era had played itself out. China had one of the world’s lowest GINIs but it was based on scarcity not abundance. All Chinese were equally poor. I traveled frequently to China in the 1980s and lived in Chinese households, as I was married to a Chinese wife and stayed at my in-laws flat in Beijing. My father-in-law was a high ranking scientist who had been sent down durting the Cultural Revolution and subsequently rehabilitated. My in-laws had a spacious apartment by Chinese standards but very little in terms of furnishings or conveniences, certainly much more however than a typical Chinese family at that time. As an archeologist working exclusively in China I spent the 1980s and 90s traveling to sites in remote regions of China, on occasion staying with Chinese colleagues in rural farmsteads. The conditions were subsistence level at best. In northern China the stable foodstuff was corn gruel with some chives, Twenty years later the same farmers had built new two story dwellings crammed with consumer durables. Your picture of exploited Chinese farmers and workers is laughable. Chinese farmers have never had it as well as they have it now, allowing surplus labor to migrate to the cities to work in factories where they double or triple their ioncome, the remittances home allowing for much of the rural prosperity I’ve seen. Of course migrant workers in China are exploited, but nothing like the exploitation that workers face in capitalist countries. There is also another consideration. Mao had a particular vision of how socialism in China should develop. He believed in permanent revolution, taking class struggle as the key link and transforming China ideologically. He was a thorough going idealist. China could be transformed by the power of socialist ideology alone. He was opposed by the materialist who understood that Mao’s vision was a chimera, a dead end that would eventually lead to collapse and restoration of bona fide capitalism a la what occurred eventually in the USSR and Eastern Europe. The consequences in China would have been even more devastating and China would have sunk into the quagmire of neo-colonial control by western imperialism. The true Marxists understood as Bukharin had in the USSR that for socialism to succeed the productive forces had to be built from scratch. In the 1980s China had an industrial base that was founded on 1940s and 50s Soviet technology. It could never compete with the Western capitalist economies. As the Soviet bloc collapsed China had no choice but to accommodate and integrate into the global capitalist market. What alternative was there? They opted for the NEP on steroids while maintaining firm political control of the levers of power and economic control of the commanding heights of industry. Heavy industry, natural resourse extraction, transportation, communication, finance, etc. all remain under state control. The otherv sectiors of the economy that are not conducsive to centralized state control, such as small scakle production, retail sales etc.were set free and the market was introduced as a lever for adjusting the growth of the economy. Under this form of market socialism, or socialism with Chinese characteristics China has advanced at a rate unseen in human history showing the unbelievable vitality of the Chinese Communist Party and socialism in a \Chinese context. But that’s not all China is developing socialism in an entirely new way. Not as a command economy but organically neeting new challenges as they emerge, adjusting an d changing to new conditions as they arise. China no longer has an “iron rice” but it is developing a social security like insurance system, a nationwide medicare like health insurance system, subsidized low-cost housing on a massive scale, moving hundreds of millions of peiople out of poverty and generating a new middle class larger than the population of the US. Do you want to look at the staggering accomplishments of the CCP and socialism in China. Just compare India and China. They both achieved full independence at the end of the 1940s. India was unscathed by WW2 and had inherited the democratic legacy of British imperialism. Thus India was heralded as the largest and greatest democracy on Earth. China was devastated by decades of war and the depredations of Japanese aggression. Today 40% of India Children under 5 are malnourished and subject to stunted growth. The statistic in China, under 10% and those children who are still malnourished are in the most inaccessible regions of rural China. All social indicators in China are leagues above those in India. In terms of labour. China’s minimum wage has been increasiung at a rate of 20% per year over the last few years. Yes, look it up. While China’s inflation rate hovers around 4%. And other wages are going up at a slower pace between 10 and 15%. So real wage growth is occurring at a phenomenal rate compared to the stagnation or decline in the West. And what about austerity. Austerity in the West means cutting back on social services for the poor and working classes. In China austerity means cutting back on the luxuries and privileges of the elite. There is intense two line political struggle in China today. Read Maoist websites such as Utopia which is back online as are other leftwing sites after a hiatus during the Part and National Congresses. Compare what published in those online sites with the like of Caixin a neo-liberal e-magazine based in Beijing. They are as different as night from day. Utopia and Maofalg lambasting any attempts to further privatize SOEs (State Owned Enterprises) while Caixin is chapioning further free rather than controlled market reforms.These debates reflect what is going on inside the CCP. Then there is the new role of a vibrant social media, and a new more assertive labour movement, environmental movement, and social rights movements. What a labour movement in a socialist country ruled by a communist party, isn’t that an oxymoron. Hell no. Its reflects the fact that there are classes and class struggles under socialism within the party and within society as a whole. China is a dynamic society ion the initial stages of socialist construction. I’m sorry to say that your analysis like that of nearly all Werstern Marxists is so superficial based on such aa lack of knowledge and so ful;l, of hubris as to be comical if it wasn’t so tragic. And I could go on for a lot longer but enough is enough. You write: “classes and class struggle continues to exist under socialism.” Are you next going to lecture us that the Earth revolves around the Sun? What “Western Marxists” do you think uninformed? Hung Ho-fung? Minqi Li? I’ve leaned on the work of them, along with analyses in publications like Monthly Review and New Left Review. As far from “superficial” as you can get. As to the state of farmers and urban workers, you can find information in abundance in works and authors cited above. I’ll cite just one example. In Hung Ho-fung’s New Left Review article, “America’s Head Servant?,” he presents a graph of East Asian manufacturing wages as a percentage of U.S. wages. In Japan, South Korea and Taiwan, wages start below ten percent, but quickly rise. For China, wages in 1980 are below five percent and barely rise to five percent by the late 2000s. Sure, wages have been increasing in the past couple of years, but are still miserably low, and already garment manufacturers, the first to exploit the global wage arbitrage, are moving to Bangladesh and Cambodia. Once again, China’s “boom” is based on over-investment and real estate speculation, neither of which is sustainable. The idea that sweatshops are good for people is a neoliberal idea par excellence. It is possible to make a case for an analysis much different that mine, as Joel Meyers did above. Although I don’t agree with his underlying thesis, Joel presents a concrete case that is well thought out, and he does make strong points that make us think. In contrast, you offered anecdotes and invective. Anecdotes are not a substitute for data, and name-calling is much more revealing about the one who throws it than the recipient. The billion-dollar fortunes of top Chinese officials’ families make those of top U.S. public officials look pathetic. Meanwhile, plenty of corporation-based billionaires have risen in China, too. They are not as rich as Bill Gates; there is still a difference between $5 billion and $50 billion. Still, such fortunes are intolerable in a socialist country. The institutionalized political power cannot eradicate such extreme polarization. Certainly not now, and nothing in the line of capitalist economic development will weaken the hold of the new capitalists in and out of the CPC. Has China developed rapidly, like post-Meiji Japan, Soviet Russia, and post World War Two Korea? Certainly. No socialist wants to toss away the material gains of the Chinese people; there is no need to imply otherwise. China was a socialist country for several decades. Not now.